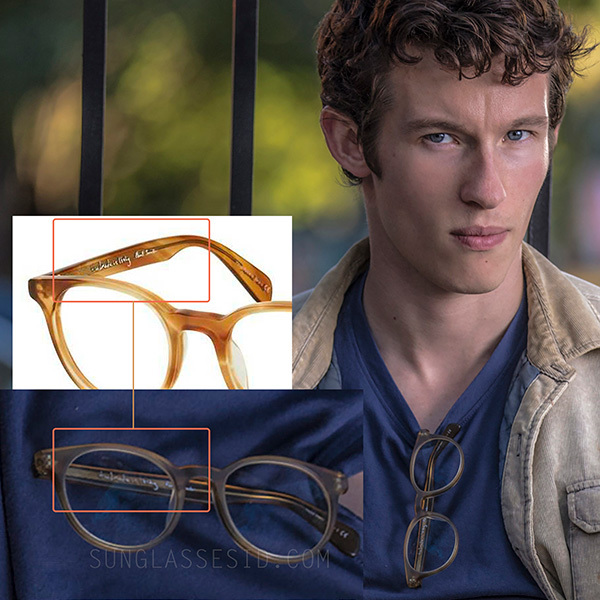 Callum Turner wears Paul Smith Theydon PM8245U eyeglasses in the movie The Only Living Boy In New York. The inside of the temple can be spotted in this photo, matching the Paul Smith glasses. 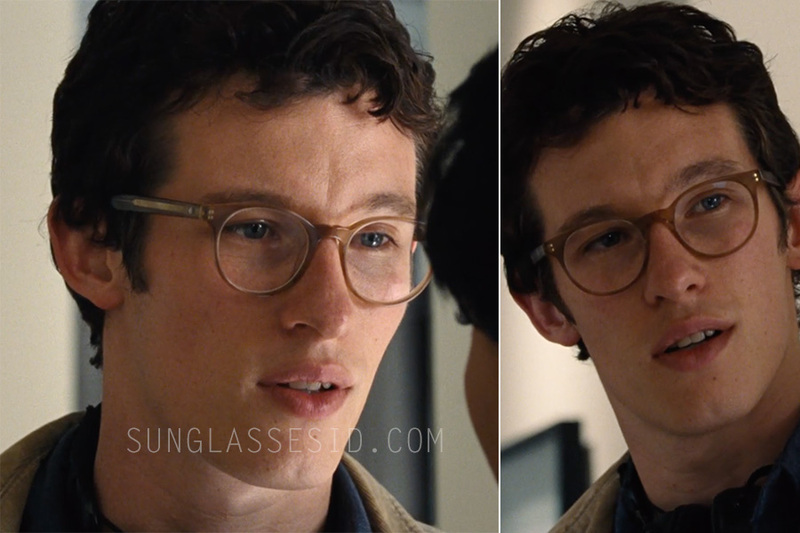 Callum Turner wears Paul Smith Theydon PM8245U eyeglasses throughout the movie The Only Living Boy In New York (2017). The glasses have a "semi nectar" color frame. The Only Living Boy in New York is drama film directed by Marc Webb and stars Callum Turner, Kate Beckinsale, Pierce Brosnan, Cynthia Nixon and Jeff Bridges. In the same film, Jeff Bridges wears a pair of Moscot Zetz sunglasses.